This ride-on toy for kids is parent powered, but little ones will feel like they’re cruising on their own. 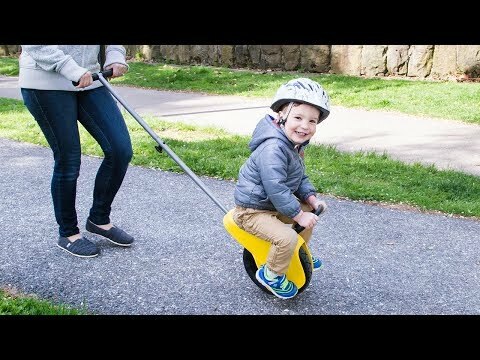 It’s a fun solution for young children who are in between sitting in a stroller (and getting antsy) and trying out training wheels. 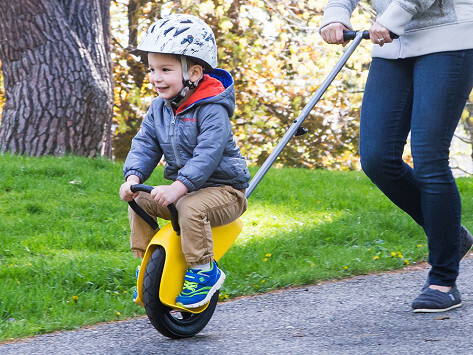 The durable design is easy to assemble, and the rubber tire can handle terrain from grass to dirt paths to the sidewalk. Dimensions: 7.8" x 36" x 19.6"
Now a walk around the neighborhood feels like a bike-riding adventure, but with parents secretly in charge—and that will make everyone happy.